About Us - Almost FAB! Playing Beatle songs from every era of the Fab Four’s career, Almost FAB creates a fun atmosphere while rocking your night away with the songs that you know all the words to, and can sing along with. The Delaware Valley’s premier Beatles music review! Playing PA, NJ, DE, MD, and more…. CLICK on each FAB’s face for more info! an act-alike band or a simulation of the Beatles. 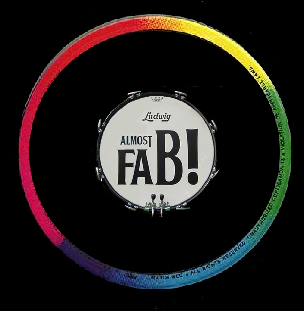 Almost FAB is a group of FABulous musicians who entertain by performing the songs the Beatles made famous in a fun and exciting show that will keep you singing and dancing all night long! Almost FAB’s cast brings over 150 combined years of studying and performing to the stage. These seasoned musicians are all in agreement that they are playing THE music that has had the most profound influence on their desire to become musicians. This gig maybe the most fun these five guys have ever had on stage. Their enjoyment and energy is contagious for the audience members who get to experience an evening with the cast of Almost FAB!